Marlon Diggs is a self-taught artist from Newport News, Virginia living in the Washington DC area. 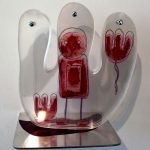 Born in 1987 Diggs began to pursue art as a child drawing everything from cartoons, comics, action figures and athletes. 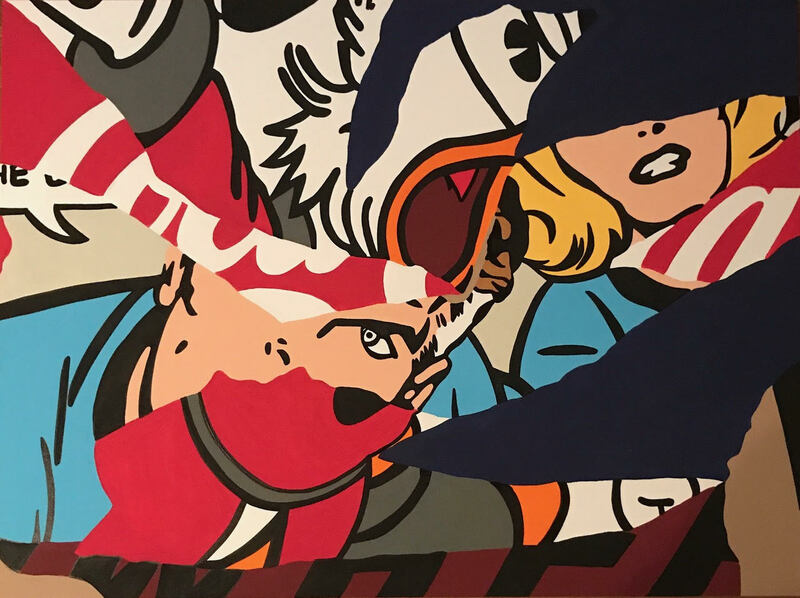 Heavily influenced by artists Roy Lichtenstein and Kaws, He pulls inspiration from old comic books and newspapers to help him display his inner thoughts and experiences through layers of bright bold colors and patterns coupled with images from his childhood. Common themes throughout his work consist of money, fashion and love. 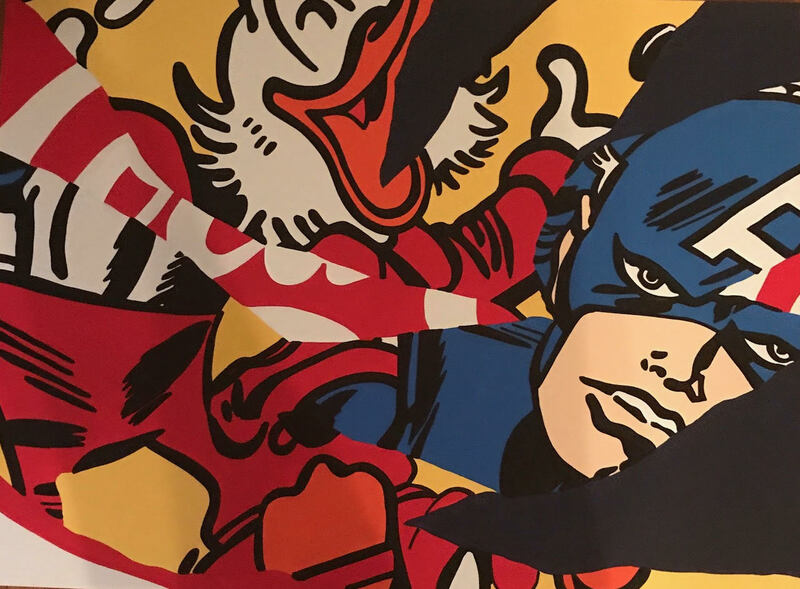 Marlon’s process consists of ripping up old comic books, newspapers andmagazine ads and then rearranging the pieces so that they tell a story and are transformed into a work of art. Common themes throughout his work consist of money, fashion and love. 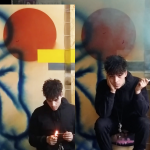 Marlon’s inspiration for every painting starts with ripping up old comic books, newspapers and magazine ads and then loosely rearranging the pieces until they tell a story. 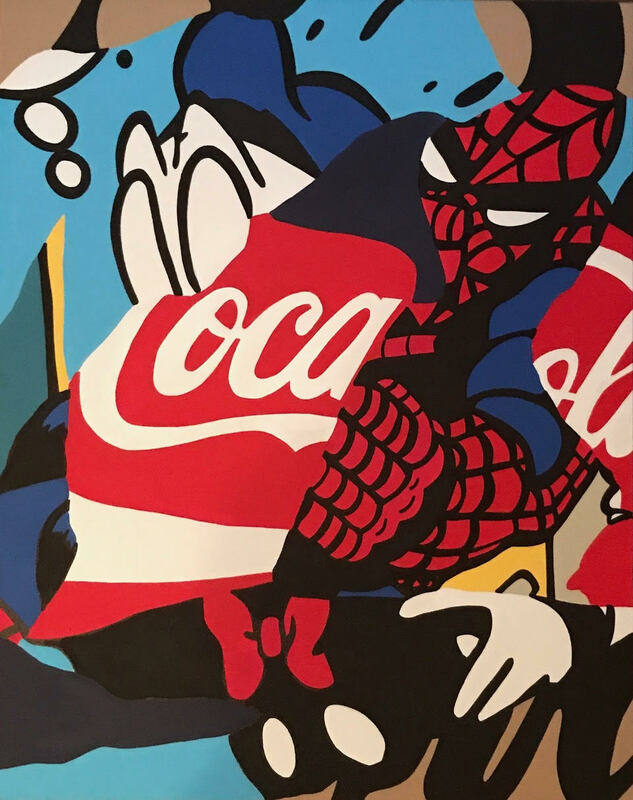 He then transforms his ideas with acrylic paint on canvas, and rather than reproducing the imagery, he documents bits and pieces of pop culture in a critically acclaimed and creative new direction. 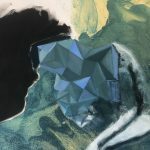 This entry was posted in ARTIST OPPORTUNITIES, Get Your Art On FAD and tagged Emerging art, emerging artist, Marlon Diggs. Bookmark the permalink.